Despite popularity of the .FI country code TLD, only a small percentage of .FI domain applicants have opted for the protection offered by the Domain Name System Security Extensions (DNSSec). The demand for Finnish domain name remains high among applicants who appreciate reliability and local origin. 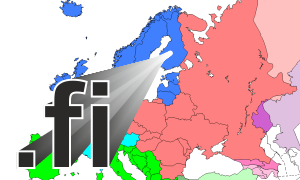 However, the popularity of .FI top-level domain does not go hand in hand with the information security reflected by the fact that only a small percentage of .FI domain holders have chosen the protection of the Domain Name System Security Extensions (DNSSec) offered by the Finnish domain registration authority. Each year, about 52,000 new .FI domain names are authorized but the deployment of the DNSSec extension has never picked up in Finland. Compared with other countries, 63 domain names protected by DNSSec is very low. There are as many as 145,000 Swedish domain names using the DNSSec extension, for example, whereas the Netherlands’ country code .NL (number four top-level domain used in the world) has over a million holders using the DNSSec extension. DNSSec (Domain Name System Security Extensions), offered by the Finnish domain registration authority, is an extension boosting the information security of the name service (safeguarding the origin authentication and data integrity of the information received from the name server). When DNSSEC is activated, responses to name system queries receive a digital signature. DNSSEC makes sure that responses to name system inquiries are sent by the right sender and that there have been no modifications in the response information. This way the internet users can be sure that they are only shown their actual intended website. The deployment of DNSSec extensions is strongly recommended for .FI domain name holders. More information about .FI domain registration is available at www.web-solutions.eu. Web Solutions is a global domain registrar with over 14 years of experience providing registration and local proxy services to domain applicants world-wide.